At first glance, evangelical and Gotham seem like an odd pair. What does a movement of pious converts and reformers have to do with a city notoriously full of temptation and sin? More than you might think, says Kyle B. Roberts, who argues that religion must be considered alongside immigration, commerce, and real estate scarcity as one of the forces that shaped the New York City we know today. In Evangelical Gotham, Roberts explores the role of the urban evangelical community in the development of New York between the American Revolution and the Civil War. As developers prepared to open new neighborhoods uptown, evangelicals stood ready to build meetinghouses. As the city’s financial center emerged and solidified, evangelicals capitalized on the resultant wealth, technology, and resources to expand their missionary and benevolent causes. When they began to feel that the city’s morals had degenerated, evangelicals turned to temperance, Sunday school, prayer meetings, antislavery causes, and urban missions to reform their neighbors. The result of these efforts was Evangelical Gotham—a complicated and contradictory world whose influence spread far beyond the shores of Manhattan. 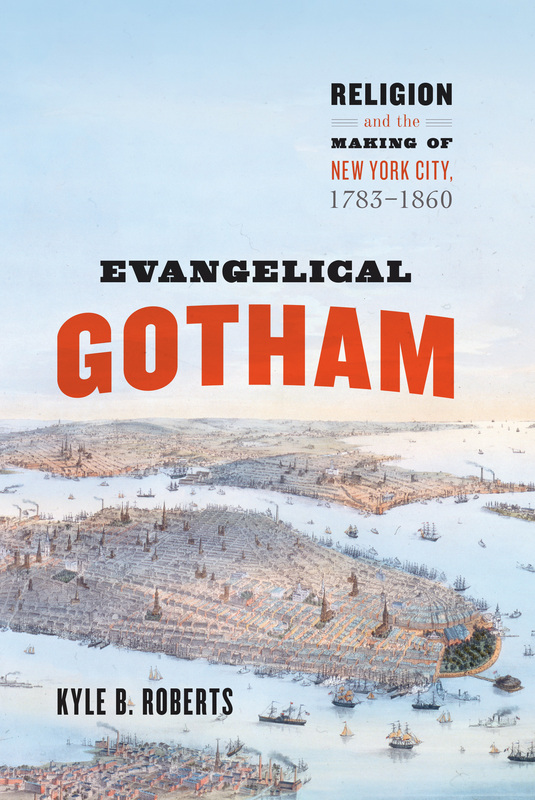 "Evangelical Gotham persuasively demonstrates that American evangelicals shaped the development of New York City, even as New York City shaped the development of American evangelicalism. . . Roberts convinces that without Gotham, evangelicalism in America would not have developed into the powerhouse it became over the course of the nineteenth century." "In this exquisite gem of a book on the rise of Protestantism in New York City, Kyle Roberts explains the contests between competing versions of Christian responses to American society during the early republic and well into the nineteenth century. This book provides readers with the foundational view on Christian efforts of all stripes in the period before the creation of the immigrant Catholic Church in the same city to conquer the landscape for Christ and His Church."